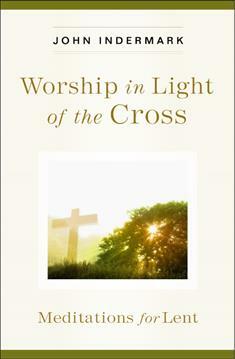 How can the cross shed light on what we do in worship and why—not just in the Lenten season but in every season? John Indermark urges us to focus on the cross, its imprint on how we worship as a community, and how it transforms our discipleship. This 6-week study inspires us to connect corporate worship with our daily lives. He organizes the daily readings according to the components of corporate worship: gathering, invocation, confession, proclamation, creed, response, and sacrament. Leader's Guide helps you share this worship experience with your community of faith. Daily readings are key in preparing you for worship experiences. Each daily reading includes a reflection question or action. Includes ideas for creating a weekly worship center to emphasize each week's theme.